The wait is nearly over. NBC has announced the 2019 premiere dates for two of their new dramas. A spy thriller, The Enemy Within will debut on Monday, February 25th, at 10:00 PM. A drama about the residents in an apartment building in Brooklyn, The Village TV show will kick off on Tuesday, March 12th, at 10:00 PM (it will shift to 9:00 PM starting with the April 2nd installment). 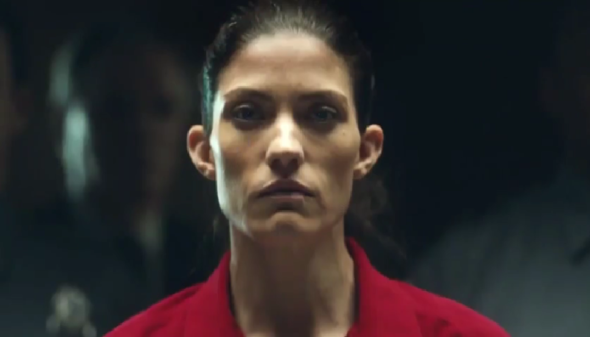 · In this fast-paced, spy-hunting thriller, Erica Shepherd (Jennifer Carpenter) is a brilliant former CIA operative, now known as the most notorious traitor in American history serving life in a Supermax prison. Against every fiber of his being but with nowhere else to turn, FBI Agent Will Keaton (Morris Chestnut) enlists Shepherd to help track down a fiercely dangerous and elusive criminal she knows all too well. For Keaton, it’s not easy to trust the woman who cost him so much. While Shepherd and Keaton have different motivations for bringing the enemy to justice, they both know that to catch a spy… they must think like one. · The cast also includes Raza Jaffrey, Kelli Garner, Cassandra Freeman and Noah Mills. · “The Enemy Within” was created by Ken Woodruff, who executive produces alongside Matt Corman, Chris Ord and Charles Beeson. Mark Pellington directs and executive produces the pilot. Vernon Sanders also executive produces the pilot. “The Enemy Within” is produced by Universal Television. · Welcome to the Village, an apartment building in Brooklyn that appears like any other from the outside but is quite unique inside. The people who reside here have built a bonded family of friends and neighbors. Sarah’s a nurse and single mom raising a creative teen; Gabe’s a young law student who got a much older and unexpected roommate; Ava must secure the future of her young, U.S.-born son when ICE comes knocking; Nick’s a veteran who’s returned from war; and the heart and soul of the building, Ron and Patricia, have captivating tales all their own. These are the hopeful, heartwarming and challenging stories of life that prove family is everything – even if it’s the one you make with the people around you. · The cast includes Moran Atias, Dominic Chianese, Warren Christie, Frankie Faison, Jerod Haynes, Daren Kagasoff, Michaela McManus, Lorraine Toussaint and Grace Van Dien. · Mike Daniels will write and executive produce. Minkie Spiro will direct and executive produce the pilot. Jessica Rhoades also executive produces. “The Village” is produced by Universal Television and 6107 Productions. What do you think? Do you like the sound of either of these two shows? Do you plan to check out either The Enemy Within or The Village on NBC? More about: NBC TV shows: canceled or renewed?, The Enemy Within, The Enemy Within: canceled or renewed?, The Village, The Village: canceled or renewed?